On April 5, students of all abilities from across Northern Virginia and Washington D.C. will join together for the sixth annual Best Buddies Capital Region Prom. This fun-filled event will once again take place at the Ronald Reagan Building and International Trade Center in Washington D.C. and feature two parties: one for the students and one for the adults. Students with and without disabilities will enjoy a DJ, photo booth, food and drinks with their Best Buddies, while adults will take part in a live and silent auction. Best Buddies Prom has something for everybody and allows all students to experience an incredible Prom. Best Buddies is an international organization dedicated to promoting inclusion for individuals with intellectual and developmental disabilities (IDD) through friendship programs, leadership development and integrated employment. Best Buddies Capital Region has over 20 high school chapters that foster one-to-one friendships between students with and without disabilities and host monthly events for their members to enjoy. 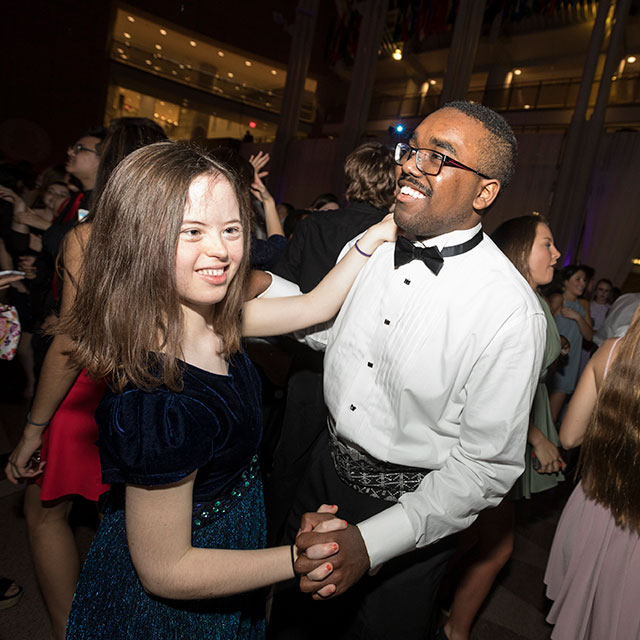 Prom is an event that brings all of the Best Buddies chapters in Northern Virginia and Washington D.C. together for a night full of dancing, inclusion and laughter. It is an unforgettable experience for all that are involved and the money raised from ticket sales goes to Best Buddies Capital Region, allowing them to fund and expand their programs. For numerous students, Prom is a highlight of high school. However, for many individuals with IDD, a traditional Prom is not accessible and they end up not attending their high school’s Prom. Best Buddies Capital Region believes that everyone deserves the opportunity to go to and enjoy a Prom, which is why they put on Best Buddies Prom every year. This event gives students with IDD the chance to attend a Prom and feel to included. I have been to Best Buddies Prom twice before, and the atmosphere both times was absolutely electric. It was inspiring and refreshing to see students with and without disabilities having the time of their lives, dancing, singing and simply enjoying time together. Everywhere I looked I saw smiles and laughter and it was incredible to see how much joy Best Buddies brings to so many lives. Best Buddies Prom is a perfect reflection of what our world should look like: a space where all people are celebrated and feel included regardless of their abilities. I am looking forward to experiencing another incredible Prom with my buddies and other students who believe in the mission of inclusion and respect from all across the area. Another great aspect about Prom is that the money raised through ticket sales goes directly back to Best Buddies Capital Region’s programs. Currently, the Capital Region has Best Buddies chapters at the middle and high school level and they are looking to expand to elementary schools. They are also looking at further expanding in the Virginia Beach area, where they currently have two Best Buddies chapters at Landstown High School and Hickory High School. Best Buddies Capital Region also has a Citizens Program which matches adults with and without disabilities in one-to-one friendships. 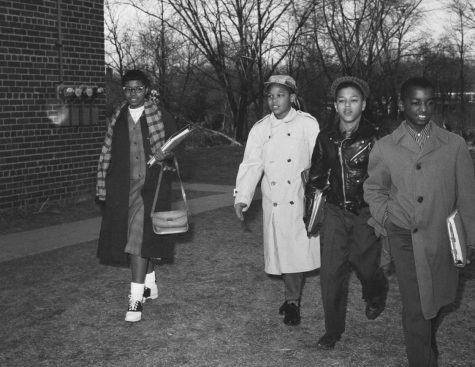 All of these programs ensure that people with IDD can experience genuine friendships throughout their educational careers and beyond. In addition to Friendship Programs, Best Buddies Capital Region has a Jobs Program that helps people with IDD find and maintain jobs, and a Leadership Development Program that empowers people with and without IDD to become public speakers and advocates in their communities. The money raised through Prom helps fund all of the Capital Region’s programs and allows them to expand and impact more lives for the better. Best Buddies Prom is a life-changing experience that exemplifies Best Buddies’ mission of promoting inclusion. This year’s Prom will without a doubt be filled with more infectious laughter and smiles because, of course, Prom is best with your buddies. If you are interested in learning more about Best Buddies Prom or purchasing tickets, go to: https://www.bestbuddies.org/crprom/.